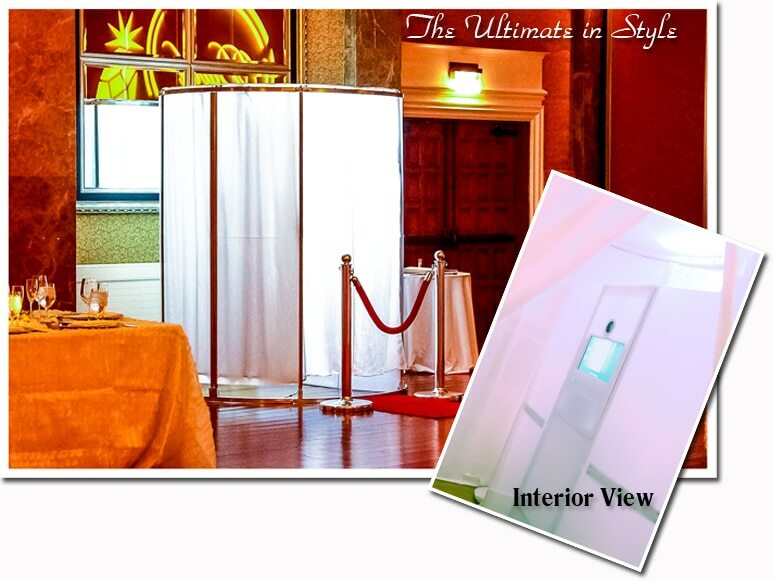 The Party Pod is our round, stylish, modern photo booth. This is as good as it gets! It has the largest footprint of all our models with a 6 ft diameter interior. It is available in black, white, and translucent. In translucent mode, an array of L.E.D. lights is used to illuminate the photo booth in any color you wish. This is great for matching the photo booth color to the theme of the event or to any up-lighting being used at the venue. It acts as a giant beam of light! The Party Pod is not designed for just any event. It can only be used indoors and is recommended for venues with large ballrooms. It requires a minimum working area of 10 ft by 10 ft. Additional space may be required if you wish to have a table for scrap-booking. This model is very popular for weddings and special gala events.